If you receive a cash or check donation and wish to have it reflected in your online totals, follow these steps. 3. Fill out your donation details. First select which fundraising page you wish to apply it to. It can either apply to the overall organization's page or to a specific supporter's page. 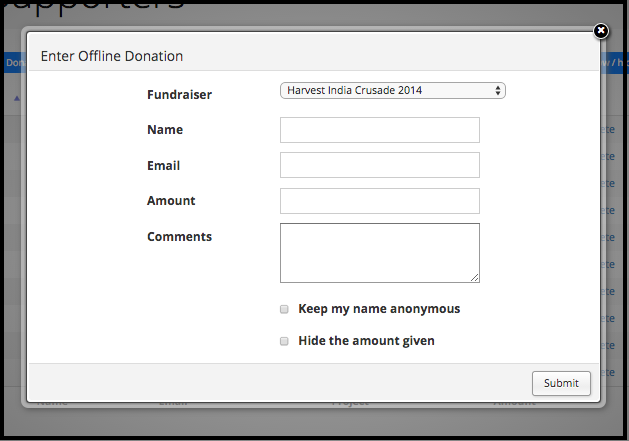 Your offline donation will now show in your supporters list as well as in your overall total.